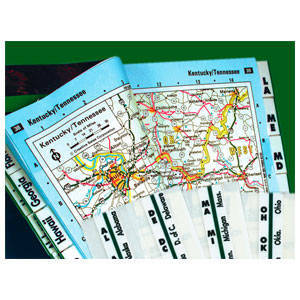 road atlas index tabs make it easy to index and identify states for quick reference. Pre-cut, self-adhesive tabs attach securely to both sides of page for a permanent bond. State abbreviations are printed on one side with name of the state spelled out on the reverse side. Each set includes 53 1" tabs - 50 states plus District of Columbia, Canada and Mexico.